This was once the busiest store in Attapulgus. 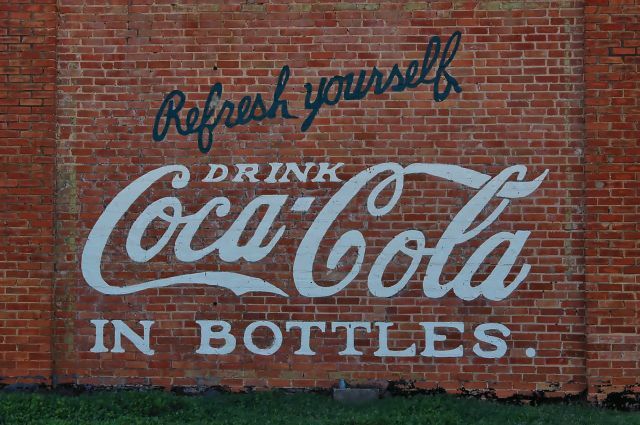 It’s well-maintained, and the Coca-Cola mural is one of the earliest and nicest I’ve seen in South Georgia. It’s believed that John Slade, a missionary from South Carolina, organized this congregation around 1830 and served as its first pastor. 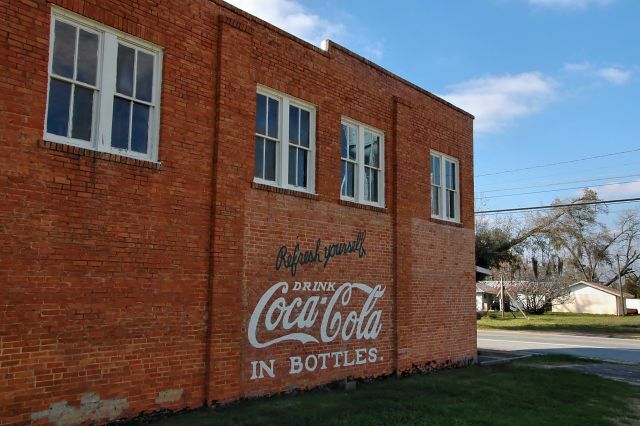 The first building was erected in 1869. Ground was broken for the present church in 1927 and it was dedicated on 17 April 1928, by Bishop William N. Ainsworth. 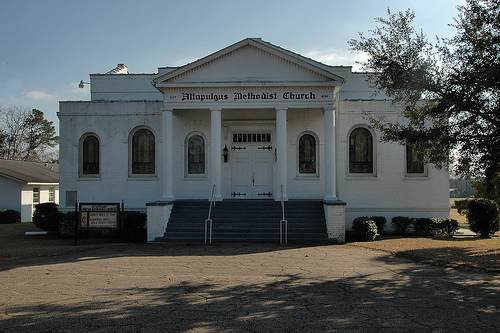 More history can be found at the website of the South Georgia Conference of the United Methodist Church.